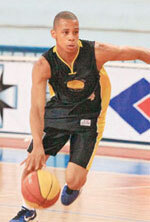 Liga Sorocabana de Basquete (Paulista) signed 19-year old point guard Andre Santos (197-99). He just played at Paschoalotto/Bauru in Brazilian NBB league. Santos has played there for the last three years. Paulista will be definitely a better match and he can see more playing time. Santos also played for Paschoalotto/Bauru that season where in 6 NBB games he had only 2.5ppg this season. His team was regular season runner-up in Paulista League in 2018.